THE SCHOOL OF HARD KNOCK KNOCKS (SHKK) 5-evening stand-up comedy course runs from Sunday to Thursday, 6.30 pm to 9.30 pm, from October 15 to 19. You’ll get the SHKK comedy manual, video of your graduating performance, and lots of coaching from a 20 year veteran of the comedy circuit – Dave Ivkovic, as well as guest comedians, Doug Chappel and Ben Horowitz. You’ll be kicking off the night with your performing 2 minutes of your own material. Our resident comedy teacher, Dave Ivkovic, will then be able to gauge your current ability and confidence. After this, Dave will introduce the basics of comedy, the jargon of the comedic industry, three different joke structures, after which you’ll get to practice. Learn to gauge your audience and how to recognise and manage taboo topics creating new comedic material with guest comedian and experienced comedy teacher, Ben Horowitz. Practice delivering your set as well as building skills to deal with the dreaded (or welcomed) heckler before polishing a strong close to your set ready for tomorrow’s graduation ceremony, with a healthy critique from comedy legend, Doug Chappel. The moment you have been working toward! Perform your own stand-up comedy routine in front of family and friends, conquer your fears and perform alongside Dave Ivkovic, and two veterans of comedy, Doug Chappel and Ben Horowitz. 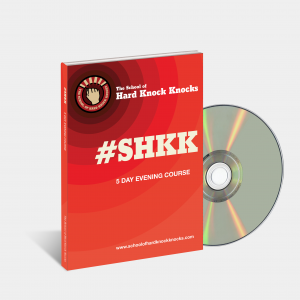 For more information, email morry@schoolofhardknockknocks.com or call 1300 068 882. 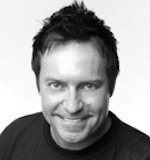 Dave Ivkovic started on the stand up circuit as a dare in 1997 and has never looked back. 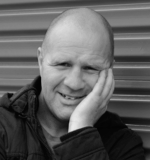 With a quick wit and childlike charm Dave is bound to tickle the funny bone of any audience. He regularly performs as MC and support act at all the major comedy clubs in Victoria, including The Comic’s Lounge and The Comedy Club, as well as comedy clubs and private functions all around Australia. Dave has also heard nationwide on radio via Austereos Homegrown and has appeared in many films, TV shows and theatre productions. 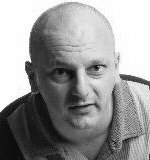 In his time on the Melbourne comedy scene Dave has had the privilege of working with and befriending some of Australia’s best comedians including Dave Hughes, Dave Grant, Pete Hellier, Pommy Johnson, Colin Cole and others. Doug has been a professional comedian for over 15 years, toured internationally, been a headline act for every major comedy club in Australia and performed in many successful comedy festival shows playing a variety of comical characters. He is an energetic performer who delivers hilarious facial expressions, astute observation and has no shortage of charm. Doug has also been the feature comedian on P&O Cruise Ships and performed in many Melbourne International Comedy Festival solo shows. He has also written and directed a variety of short films, television and theatre productions and had serious acting roles in Australian dramas, top 10 music video clips and has appeared in many commercials. Ben Horowitz has played every room imaginable, and some that are not. Over the past 15 years, Ben has performed to audiences as large as 3000, and as small as three. He’s performed at comedy clubs, RSL clubs, and music festivals, alongside comic greats, like Greg Fleet, Chris Franklin, Brad Oakes, and the Nelson Twins. He’s headlined and MCed, killing it on stage and also bombing. And that’s what makes Ben an ideal comedy teacher – he’s experienced the best and worst the comedy circuit has to offer.